We also stand behind this product with a limited 1-Year manufacturer's warranty. Contact us If the item should show any defect within the first year we will help exchange it for a new one. 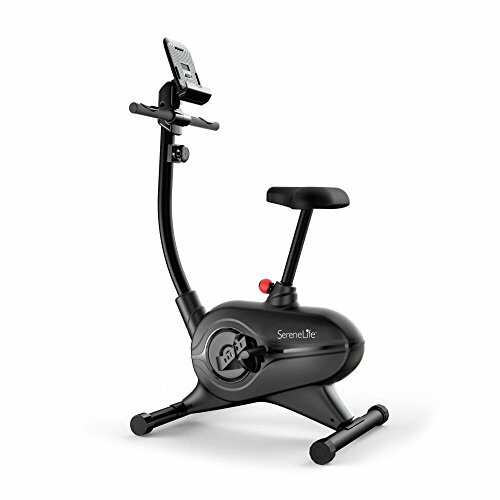 STATIONARY EXERCISE BIKE: A manual stationary fitness exercise bike with a low profile design that can actually burn fat easily. It's a foldable bicycle training equipment that can be used easily at home and at the office. UPRIGHT PEDAL MACHINE: Upright bike machine offering a complete leg and body workout in very simple and easy ways. Perfect for men and women, ages 14+ of any body type because of its convenient height adjustment and resistant pedal intensity control. LOW PROFILE DESIGN: This is compact and has a low profile design for space saving. Can even be taken to work because it's lightweight. It also has a built-in digital console for tablets and etc. Also has comfortable backrest and seat cushion. DIGITAL LCD DISPLAY: Has a digital LCD and integrated hand-rest pulse sensors to display heart rate. The smart monitor system keeps track of calories, time and speed. Quiet operation that targets stomach and more without hurting your knee or ankle. BATTERY POWERED: Exercise machine made of reinforced steel that is battery operated and requires 4xAA batteries. It is compact and has a weight capacity of 242lbs or 110kg. Perfect for home and office use and needs little assembly.